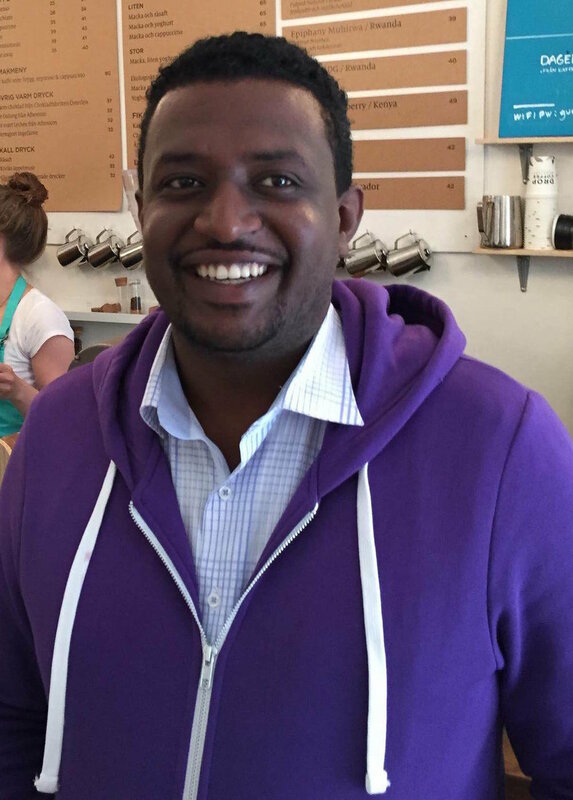 Israel Degfa is a young business man in Ethiopia with a sure and steady focus. He owns thirteen washing stations and a farm, across the South and South West of Ethiopia. In previous years the production at these washing stations has been focused on volume but over the last two or so years Israel has shifted his focus, and is now working on the quality of processing across his washing stations as priority. It was this shift in focus that caused Israel to look for different ways to market his coffees, ways that would facilitate and value his new emphasis on quality. It was from this point that we began to work with Israel, visiting his washing stations and learning about his business, we also began to know him through this process. Through this relationship we have been able to cup through coffees processed by Israel’s washing stations with him at the Nordic Approach lab in Addis, and with the team back here in Oslo and share what we value in the cup and the kind of profiles we are looking for. He has also given us a lot of scope to access his coffees and take sample material for assessment, as well as permitting our specific instructions on milling prep for the lots we purchased from him. We have seen these coffees arrive, and cup great. And we know the potential to find consistently great coffees with a supplier like Israel. Here are some of the coffees we have this year from him that there are still available! Israel is really keen on meeting roasters and understand what they expect of quality. He’s ready to take the necessary steps and move in to more special preps and a «perfect» process. We will have two one-day events this week. One in Gothenburg at the DaMatteo Roastery (Wednesday 14th September), and one in our office in Oslo (Friday 16th Septmeber). If your able to join us please do! 12:30-14:00 – Costa Rica cupping: some of the later harvested coffees from the higher altitudes have just arrived. 14:00-15.30 – Ethiopia with Israel and Seife. Great washed and naturals from Guji and Sidama produced by Israel will be showcased.